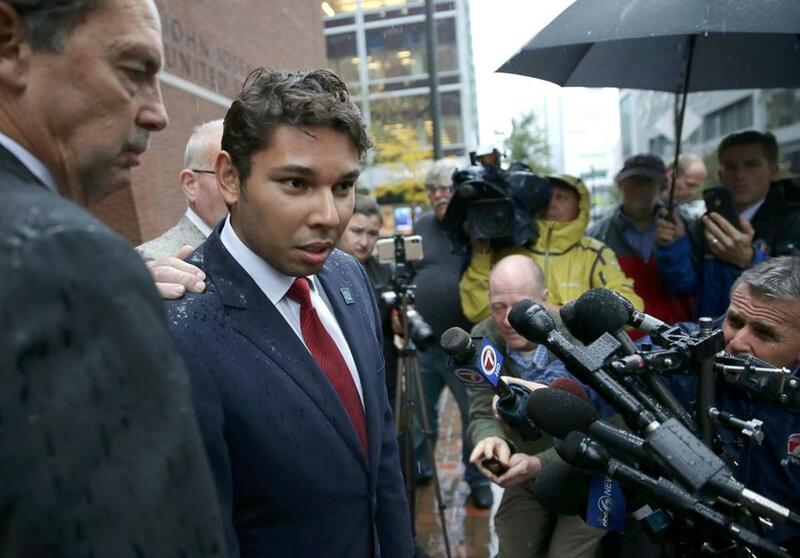 Mayor Jasiel Correia spoke after leaving court on Thursday. Fall River Mayor Jasiel F. Correia II calls himself a “classic example of a Fall River kid made good” in an official biography, which highlights his rise from “youth of the year” in 2008 to being elected the youngest mayor in the city’s history in 2015 at age 23. But a federal indictment unsealed Thursday cast an ignominious shadow over Correia’s precocious political ascent with allegations that he stole more than $231,000 from investors in his tech startup and used the money on expensive travel, a Mercedes-Benz sedan, casinos, and adult entertainment. The stolen funds, equal to about six times the median household income in Fall River, were taken from investors in SnoOwl, which Correia founded in 2012, federal prosecutors said. Correia is also charged with filing fraudulent tax returns in an effort to conceal the scheme. Prosecutors allege Correia stole about 64 percent of the $363,690 that SnoOwl’s seven investors contributed and spent it before becoming mayor. The campaign team scrubbed Jasiel Correia II’s endorsement soon after federal authorities arrested the 26-year-old mayor on wire fraud charges. FBI agents arrested Correia, 26, in Bridgewater at about 6:30 a.m. Thursday and brought him to Boston, where he appeared in a federal courtroom smiling and wearing leg irons with his hands cuffed behind his back. He pleaded not guilty to nine counts of wire fraud and four counts of filing false tax returns as Magistrate Judge M. Page Kelley set unsecured bond of $10,000, a sum Correia would only have to pay if he fails to appear in court. After being set free, Correia changed into a blue suit, red tie, and Fall River lapel pin, and then denied the charges after leaving court. He said he has no plans to resign. One of his lawyers, Mark Berthiaume, said Correia established SnoOwl while he was an undergraduate student at Providence College. “This is a business dispute that has no business being in a federal, criminal court,” Berthiaume said. SnoOwl was developing an app that would connect businesses and consumers. The fraud unfolded, prosecutors said, when Correia falsely claimed in his pitch to potential investors that he already built and sold an app called FindIt Networks for a profit. A prototype for SnoOwl was built, but the product never made it to market, despite representations Correia made to investors that the company was in good standing and their money was being spent on the app, US Attorney Andrew Lelling said at the news conference. None of the investors have received returns, and investigators believe Correia has spent their money, he said. Correia largely abandoned SnoOwl in 2015 when he launched his mayoral campaign, according to the indictment. “Despite the trappings of a company and whatever technical progress was made on the app product that SnoOwl intended to sell, the company was first and foremost a clever way to defraud well-intentioned investors and fund Correia’s lifestyle,” Lelling said. The first victim listed in the indictment is identified as an orthodontist whose son attended high school with Correia. In January 2013, he invested $50,000 in exchange for equity in SnoOwl. But about a month later, according to the indictment, Correia used $10,000 of that money to buy a 2011 Mercedes-Benz sports sedan. The orthodontist, who sunk a total of $145,000 into SnoOwl, declined to comment Thursday, as did a lawyer for another investor. None of the investors are named in the indictment, though some have come forward in The Herald News, a newspaper in Fall River. haven’t found evidence that Correia misused public funds while in office, but stressed the investigation is continuing. Correia also is accused of using $10,000 of the investment money to pay off student loans and finance his political campaign, while other funds paid for charitable donations in his own name, jewelry, restaurants, and designer clothing, the indictment said. While making his first run for mayor three years ago, Correia, then a city councilor, said his stewardship of SnoOwl was proof he was qualified to run Fall River, Lelling said. Former mayor Sam Sutter, whom Correia defeated in 2015, said he had information three years ago that SnoOwl was a failure. Investigators said Correia tried to cover his tracks by filing false tax returns for 2013 and 2014. When Correia learned he was under federal investigation in spring 2017, he directed his accountant to file amended personal tax returns to account “for the diverted investor funds that he had previously failed to report as income,” Lelling said. In January, the Friends of Jasiel F. Correia II Legal Defense Fund was registered with the state Office of Campaign and Political Finance, records show. The fund has collected more than $76,000, including thousands of dollars donated by Correia’s campaign committee. Among Fall River residents, reaction to Correia’s arrest was mixed. Another resident, David Pacheco, 70, said he voted for Correia in 2015, but not last year. Some expressed support for Correia. A status conference in Correia’s case is scheduled for Dec. 6. As he walked away from the courthouse Thursday afternoon with his lawyers, Correia was followed by journalists shouting questions about reports that he was partying Wednesday night in a Seaport District nightclub. 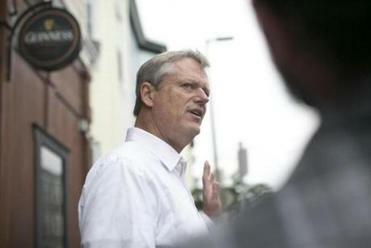 Travis Andersen of the Globe staff and Globe correspondent Matt Stout contributed. Laura Crimaldi can be reached at laura.crimaldi@globe.com. Follow her on Twitter @lauracrimaldi. Brian MacQuarrie can be reached at brian.macquarrie@globe.com.